One reason to keep a photo journal of insects like this is so you can record what you find the insects feeding on. 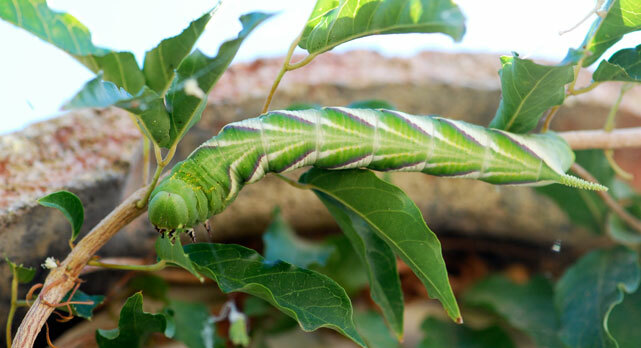 In the past we had found the caterpillars of the rustic sphinx moth, Manduca rustica, eating leaves high in our desert willow tree. 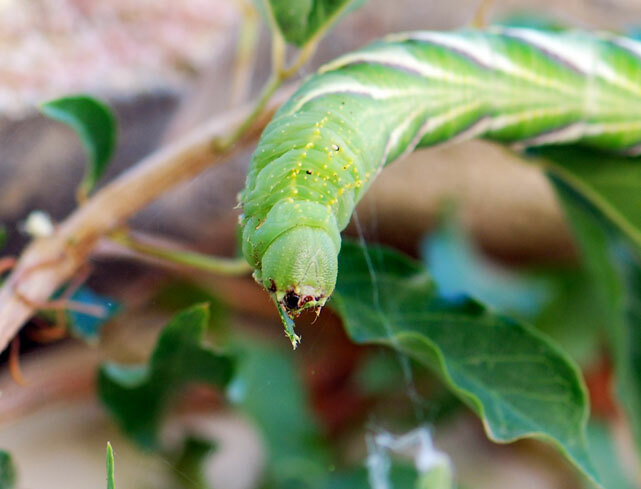 This week, however, we found a caterpillar munching on our cats-claw vine. My son suggested that because both plants have tubular flowers, long seed pods and winged seeds, that perhaps the plants are related. 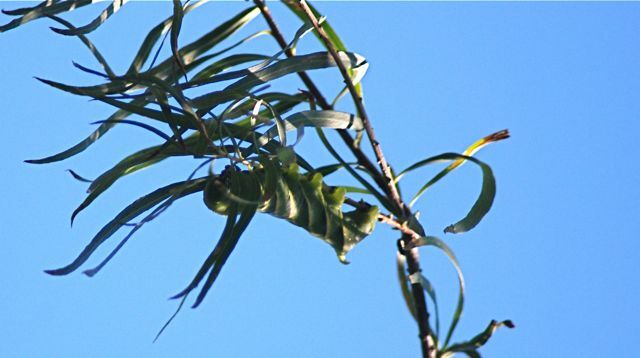 I looked it up, and it turns out that both desert willow and cats-claw vine belong to the family Bignoniaceae. They are related! From now on we'll keep an eye out for rustic sphinx caterpillars on both plants.